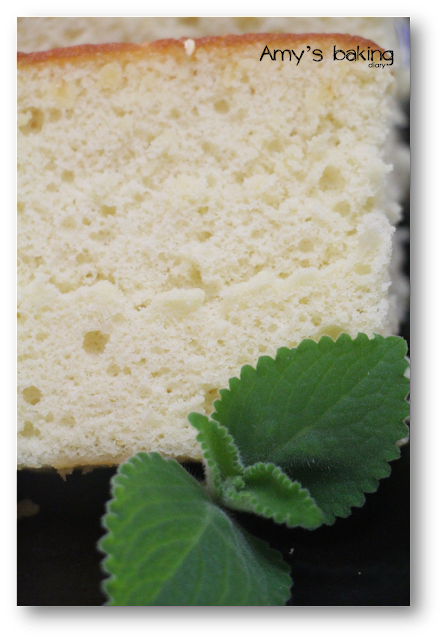 This is a very popular Japanese honey sponge cake in Japan and it's specialty of Nagasaki. The cake was brought by way of Portuguese merchants in the 16th century. The name is derived from Portuguese Pão de Castela, meaning "bread from Castile". This cake has a strong honey aroma. It’s sweet and has moist texture. 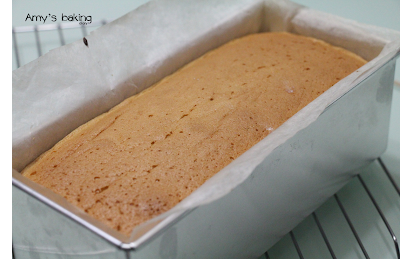 It’s made of just 4 basic ingredients - bread flour, eggs, sugar and honey. There’s no butter at all. I had my 1st Castella cake from Japan few years back when my hubby was there for work. I love its distinctive honey taste and gracious dark brown top. I’m happy that I’m able to bake this cake on my own now. Traditionally, Castella cake is baked in wooden mould to create an even smoother texture for the sponge. Next week, my hubby is travelling to Nagasaki, hopefully he can find the wooden mould for me. I chanced upon this recipe from Yen’s blog, Eat Your Heart Out and Nami’s Just One Cook. As this is my 1st attempt, I decided to go for half recipe for a start. Subsequently, I made a full recipe and gave a loaf to my brother. Hope you’ll like the cake too. (1)Preheat oven to 180°C (no fan). Base-line the loaf pans and grease the sides well. (2)Sift the bread flour twice. Set aside. (3)Mix the honey and warm water together. Set aside. (4)In an electric mixer, add the eggs and whisk until combined and frothy (Speed 2). Then, add the sugar and beat the eggs on medium speed (Speed 6) for about 6-8 minutes, until the volume of the eggs have increased by 4 times and when the whisk is lifted, the mixture should fall in thick ribbons. The egg mixture will be a pale yellow in colour. (5)Add the honey mixture (from Step 3) and then whisk on low speed (Speed 2) until combined. (6)Add 1/3 of the bread flour, then whisk on low speed (Speed 2) for 15 seconds, until just blended. Then, add another third and whisk for a further 15 seconds. Add the remaining portion and whisk for about 1 minute, until well combined. Do not overmix. *Speed indicated is from KitchenAid mixer. (7)Divide the batter between the two pans, filling to about 80% full. (8)Bake in preheated oven for 30-35 minutes or until a skewer inserted in the center comes out clean. The top of the cake will feel spongy when pressed with finger. (9)Mix the honey and warm water for the glaze in a bowl and apply the honey mixture on top of the cake with a pastry brush. 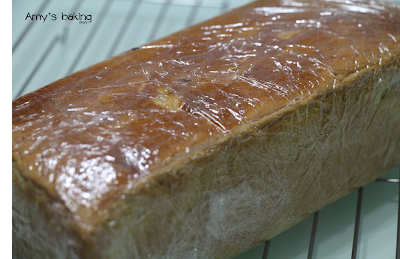 (10)Important Step: Place a sheet of plastic wrap on the counter top and invert the loaf pan onto the plastic wrap. Gently peel off parchment paper on the bottom. Immediately wrap the cake to keep the moisture in and place in the fridge while it's hot for at least 12 hours; this will help the cake's flavour develop and also improve the texture. I kept it in the fridge for 24 hours, before slicing. Store in the fridge with the top side facing down. 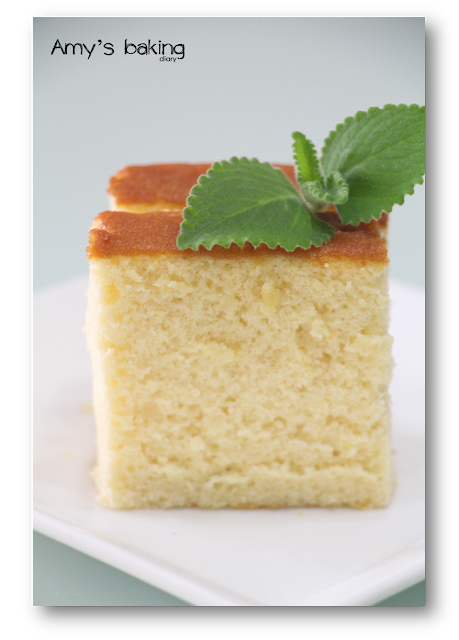 (11)To serve, slice off the sides of the cake with a sharp bread knife and cut into 3/4 to 1 inch thick slices (you get 8-10 slices in total). Bring the cake to room temperature before serving. 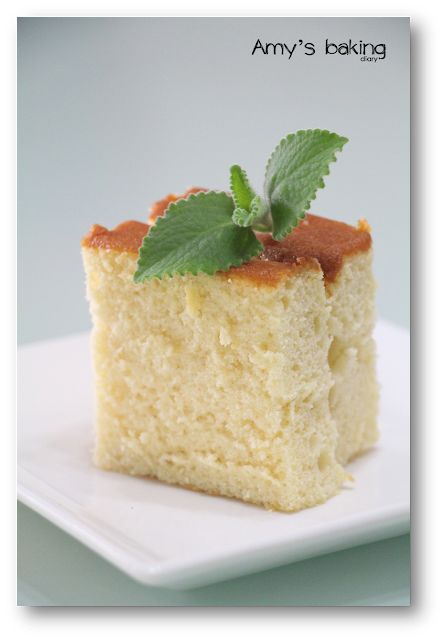 The cake can be frozen for up to a month or keep in the fridge for 5 days. Wow! Your cake looks fantastic! Very moist, soft and spongy! I have yet to make this cake, it was all the craze a while back. I can imagine how lovely this is with a cup of tea! Hello Amy! 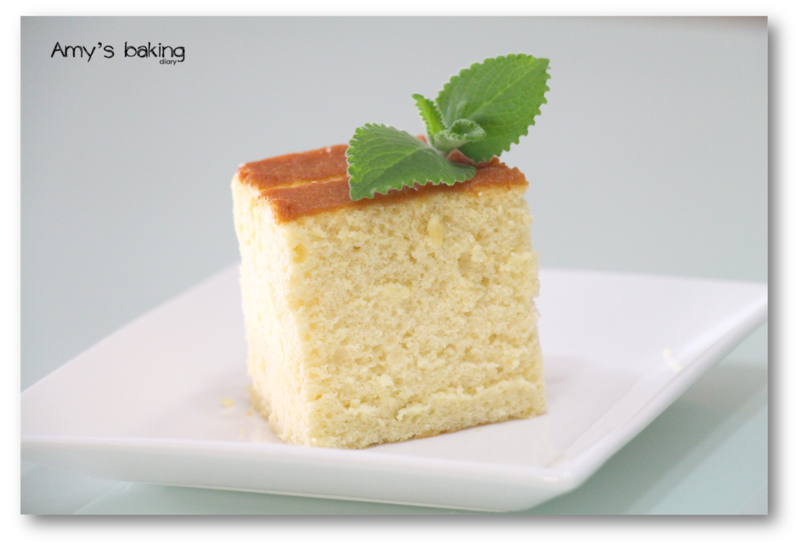 Such a gorgeous castella! It looks moist, bouncy, and looks perfect! I need to make again. :) Thank you very much for linking back to my post. So happy to hear you liked it! 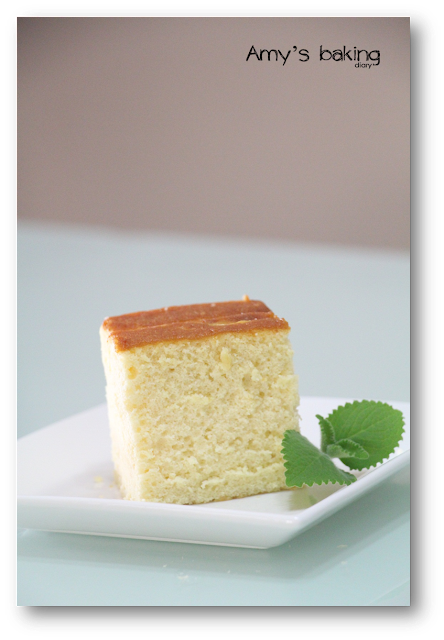 Hi Amy, I think your castella looks really spongey and the crumbs so fine! 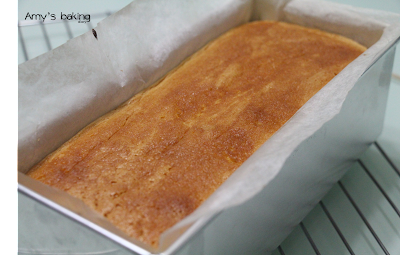 I too love this cake a lot and tried Sonia's version which is really simple!